While Facebook continues to struggle with one controversy after the other, Instagram represents without a doubt its silver lining. This is true both for its userbase, growing consistently and reaching over 1 billion monthly active users, as well as for brands, seeing better engagement rates than on any other social media. For hotels, destinations, restaurants and other travel brands, Instagram today can be compared to what Facebook was perhaps four or five years ago: trendy, popular, and the go-to social network for the majority of your target audience. Growth rates remain interesting, and engagement levels are still performing, despite of the evil-but-necessary algorithm sifting through the hundreds of millions of photos and videos shared daily on the plaform. So what can we expect in 2019? Here are four trends for Instagram in the upcoming year. Even though Facebook introduced its shopping feature for Pages a while back, let’s be honest: it never really got much traction, at least not in the hospitality vertical. But as Instagram rolled out this feature for its Page less than two years ago, it’s been interesting to see how some retailers are making use of it to sell fashion items, gifts and a variety of other consumer goods. But in travel, what gives? In the example above, Rihanna created her own filter, which was then used to promote her annual Diamond Ball and the Clara Lionel Foundation. 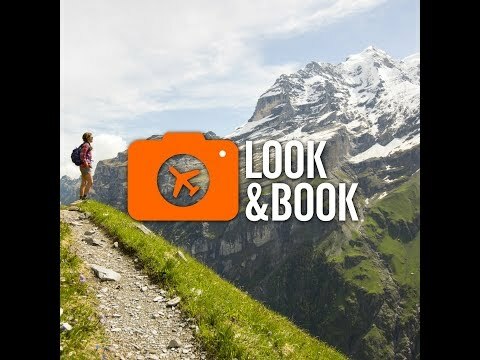 This kind of customized filter could serve as well for attractions seeking to get more UGC during a special event, or for hotels and restaurants wanting to promote a specific product, service or seasonal promotion, for example. Possibilities are endless! Making Your Destination, Product or Service… gramable! Having a hashtag for your destination or attraction is a great start, and we’ve seen plenty of examples where this was put forth by ski hills, museums or CVBs by simply using some kind of “gimmick” to get people to share photos and videos on Instagram. But nowadays, we’re seeing destinations and various hospitality stakeholders integrate Instagram in the core experience, as part of the hotel design, museum exhibit or restaurant decoration. For example, the Auberge Paradis Bleu (or Blue Paradise Hostel) in Magdalen Islands has integrated this approach, making its common areas, shared kitchen, living room and even share bedrooms all areas where anyone will have the reflex to take a pic and share it to Instagram, with relevant hashtag prominently shared here and there. Last but not least, we can expect more development and new features to spruce up within Instagram Stories advertising possibilities. As shown in the previous trend, we are starting to see new, innovative ways to monetize filters. Facebook will certainly want to crossover some of these features to its platform, and allow for new advertising space as well. Why? Just check out this chart that came out late 2018. We can see how quickly, within a year in fact, Instagram increased from 6% to 15% its proportion of ad revenue compared to Facebook. More importantly, Stories went from 8% to 25% of the total Instagram Ad Spend during that same period. Thus, we can predict new features and advertising possibilites within both Instagram direct messages, newsfeed and Stories alike. But since Stories is where the bulk of the interest it, travel brands would be foolish not to test and trial ads and organic content for this media, not to mention crossing over to IGTV, which could also prove to be the underestimated asset in the Facebook/Instagram portfolio in a travel marketing perspective.